This month's family spotlight focuses on the Wayne Family of Coatesville, Pennsylvania. Jennifer Wayne, mother of four kids, has her three youngest children living with her in, as she aptly puts it, "a small house full of craziness and love," which is their own "wonderful corner of the earth." Jennifer writes, "My parents (the kids' grandparents, a.k.a "Nan" and "Popsey") are incredibly present and involved in all of our lives. They live only a few minutes away. I could not be doing this without their endless love and tireless support. We live about an hour away from the most incredible hospital in the world: CHOP! That is where we were introduced to CCA when Sammi was three by the one and only sweet, welcoming, sensitive, thoughtful, connected and concerned Patient Liaison, Diana Sweeney. We are so excited to be heading to our sixth CCA Family Retreat in just a couple of weeks!" The Wayne kids wrote their own updates. so keep reading to hear from each of these beautiful children. Hi. My name is Sammi. I am 14 years old and a Distinguished Honor Roll student. 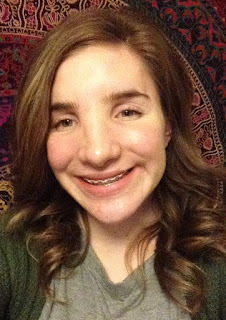 I have Crouzon Syndrome and over the past year I have successfully worn my second halo (to move my mid face and forehead) and had a rhinoplasty (to straighten my nose and help me breathe better). As of December 29, 2016 (the nose surgery) I am officially done with surgeries! It has been a rocky road having all the procedures and even daily life, but I had to go through rough times to be where I am today. I’m more confident and a happier person now and I can’t believe it’s all behind me! Keep pushing if you are going through hard times, because it’s all worth it in the end! Also, I recently was able to stop wearing my back brace after wearing it for three years for scoliosis and it helped me so much that I don’t have to have back surgery. In my free time, I love to read and watch YouTube. I also play in the school band and I am part of the Yearbook Committee. I can’t wait for the CCA Retreat this summer. Now that all of my procedures are over and I’ve learned so much from those experiences, I hope to one day help others with craniofacial differences! My name is Cory. I’m Samantha’s older brother and I’m 26 years old. I have been living in Philadelphia while pursuing a science degree for a few years now and have been enjoying every moment of it. 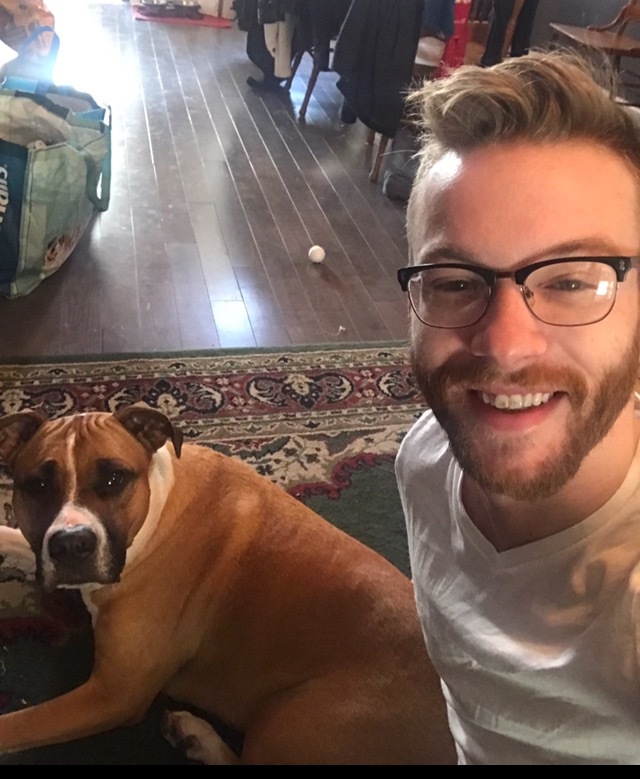 I spend most of my free time with my five year old dog, Zoey, or travelling to any interesting locations I can get to. Besides my interest in space science, I love to bike and run as often as possible. Getting outside and enjoying the outdoors is something I think everyone should get a chance to do regularly. One day, I hope to be able to discover new and incredible things both on earth and outside our solar system. I am Joey, son of Jennifer and brother of Cory, Sammi and Tommy Wayne. Some things I enjoy are Boy Scouts, being outdoors and fixing and making things. I enjoy hanging out with my friends. We have known each other for at least six years. We all have a lot in common and we love joking and laughing. We all love to draw. I am in the 6th grade and I love it! I have gotten Distinguished Honor Roll for the first two marking periods. I thoroughly enjoy using tools. Just recently I made a sling shot out of wood from a fallen branch. My name is Tommy. I am the youngest of four kids and in the 6th grade. I am a Distinguished Honor Roll student and I thoroughly enjoy my time with friends. My favorite academic class is math, but I really love Gym. I am pretty intelligent and love athletics. Lacrosse, football, and basketball are my favorite sports. I also like swimming, driving golf balls, and shooting. I want to be a Mathematician in the future. Thank you, Wayne Family, for this awesome update and sharing your story with us. CCA is committed to fostering connections between our craniofacial families near and far. If you'd like to network with someone in your area, with a similar diagnosis, or in a specific age range, please reach out to us at Contact CCA@ CCAkids . com (no spaces! ).